Fashion student (now graduate) Sue Carley made me a pair of DIY jeans from unbleached cotton – Dye It Yourself. A small oak ‘bush’ beside the Egg (behind me in the photo) provided galls to create the dye and its individual leaves the templates for a pattern (drawn in hot wax then ironed out). An oak T shirt completed the ensemble. 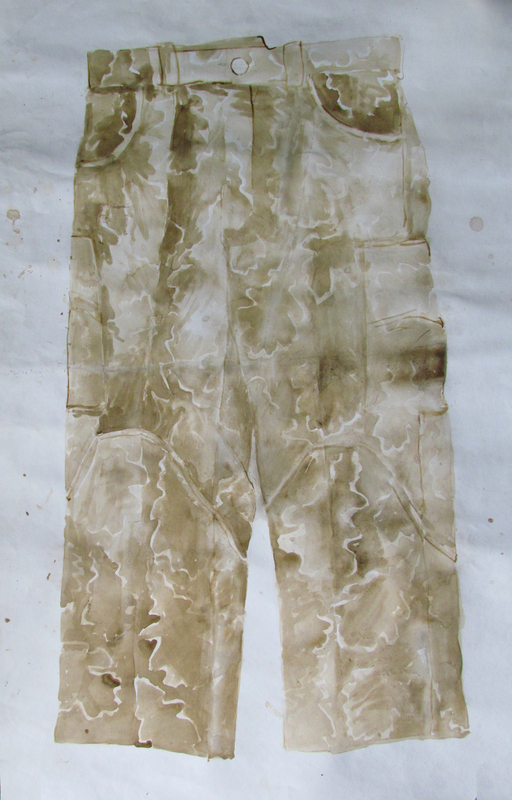 A full scale drawing of the trousers uses watercolour from the same source.